Wellington, FL (November 4, 2011) – International rider and trainer Marcel van der Burgh, a native of Holland who now operates out of Loxahatchee, Florida, rode the five-year-old Lusitano stallion Calamus Interagro to the High Score Lusitano Award during the Wellington Classic Dressage Autumn Challenge Show. Sponsored by Interagro Lusitanos, the largest breeder and exporter of Lusitano horses in the world, the High Score Lusitano Award recognizes the highest scoring Lusitano during a dressage competition and highlights the dynamic and competitive Lusitano breed. 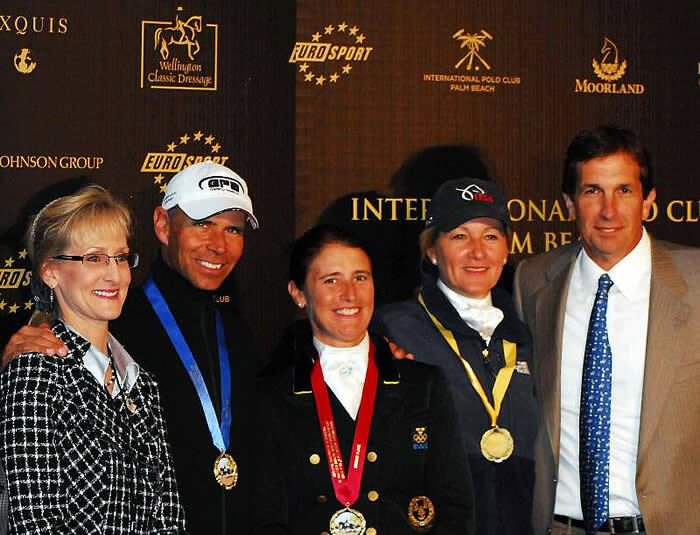 Wellington, FL – September 21, 2011 – As an exciting staple of the Wellington winter equestrian scene, International Polo Club Palm Beach will once again bring one of the world’s most elite dressage events to South Florida next year. The World Dressage Masters CDI5* Palm Beach will be sponsored by International Polo Club Palm Beach in 2012, bringing together two of the most thrilling horse sport presenters. Occurring January 26-29, 2012 at the Jim Brandon Equestrian Center in West Palm Beach, the World Dressage Masters event is sure to entertain spectators, challenge riders, and reflect the athletic spirit of its presenting sponsor, International Polo Club Palm Beach. As a CDI5* event, the World Dressage Masters Palm Beach presented by International Polo Club Palm Beach involves the highest and most difficult levels of dressage tests for riders and their horses. Featuring a Grand Prix, a Grand Prix Special, and a Grand Prix Freestyle, this show brings a new challenge for each day of competition. The World Dressage Masters circuit also awards €100,000 in prize money per show to its winning riders, making this one of the world’s most lucrative dressage contests, as well as one of the most impressive. 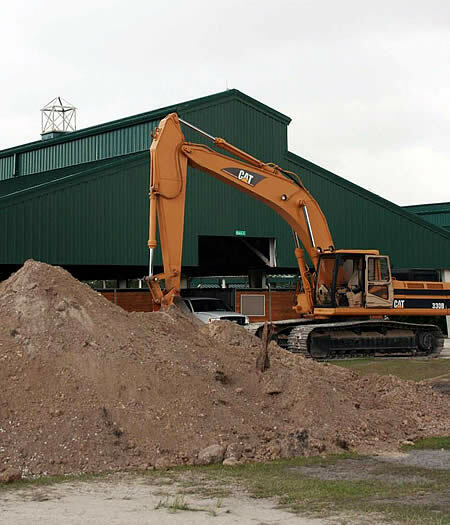 Wellington Classic Dressage is gearing up for the 2012 show season at the beautiful Palm Beach County Jim Brandon Equestrian Center and major improvements to the Center will mean that no matter the weather, the show can go on. 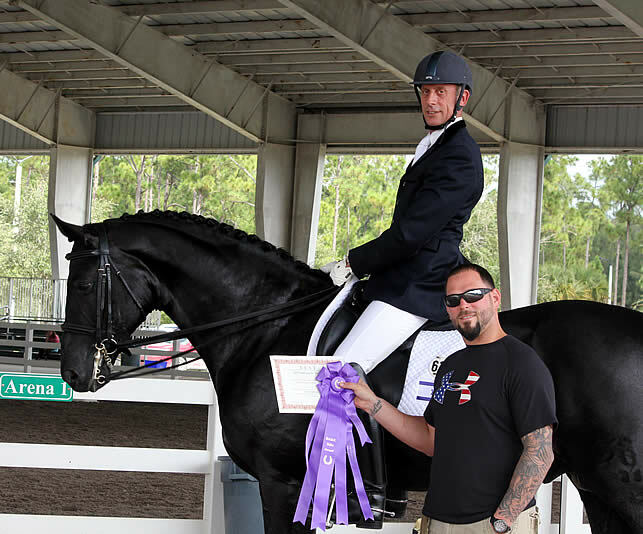 The Jim Brandon Equestrian Center, one of Palm Beach County’s Parks and Recreation facilities, has been host to Dressage and other equestrian events for the past six years. The facility has undergone major improvements this summer including landscaping and beautification, but also what matters most to dressage riders – footing. The FEI rings and warm-ups have new footing and an additional $100,000 was spent on a state-of-the-art drainage system in the show arenas and barns. The new drainage system was covered by Palm Beach County and Hutchinson said that while it’s one of those vitally important improvements it’s also not one that is easily noticed. “When it floods, people notice that, but the idea here is that neither the rings nor the barn will flood and people don’t usually notice an improvement that’s good.” Noreen O’Sullivan, Managing Partner for Wellington Classic and President of Gold Coast Dressage Association (a 501 (c)(3), not-for-profit), agrees, adding, “Florida is in a tropical climate and is subject to heavy rainstorms at times, so although we can’t control the weather, it’s great that we have such a great system in place.” Wellington Classic and Gold Coast Dressage hosts shows year-round at Jim Brandon. Steffen Peters will compete with Ravel. Photo Credit: Susan J. Stickle, Phelps Media Group. Wellington, FL – March 4, 2011 – The World Dressage Masters Palm Beach CDI5* presented by International Polo Club Palm Beach is now just five days away. The American edition of the world’s premier dressage series will begin on March 9th with the FEI Horse Inspection, followed by two days of world class competition. 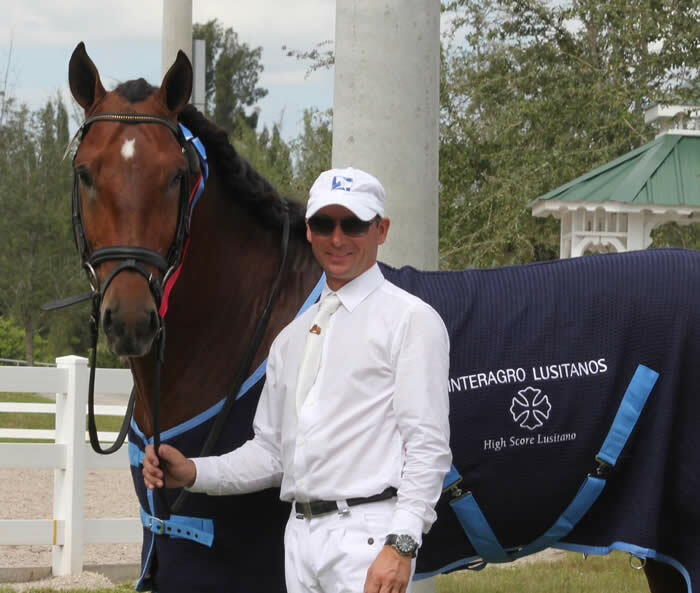 Five top European dressage horses arrived in Miami from Amsterdam on March 3rd. They are expected to move from quarantine to the competition venue, the Jim Brandon Equestrian Center in West Palm Beach, on Saturday. The WDM Palm Beach is the richest dressage competition in North America, with 100,000 Euros in prize money. It will take place in combination with the Wellington Classic Dressage Classic II CDI3*. Both competitions are produced by Wellington Classic Dressage. Also now in South Florida, having arrived by air from California, is the most successful dressage horse in US history, Akiko Yamazaki’s Ravel. With his rider, Olympic medalist Steffen Peters, Ravel won the 2009 World Cup Dressage Final and two individual bronze medals at the 2010 Alltech FEI World Equestrian Games. No stranger to dressage, IPC has hosted the highly popular Challenge of the Americas for a number of years. Photo by: Susan J. Stickle, Phelps Media Group. Wellington, FL – February 28, 2011 – As they watch top class competition at the World Dressage Masters Palm Beach CDI5*, spectators will be treated to a complete Provençal experience. A five course meal inspired by the food and wine of Southern France will be served at tables around the edge of the competition arena where 18 of the globe’s most highly trained horses perform the Dressage Grand Prix Freestyle to Music on the evening of March 11th, the grand finale of the 2011 World Dressage Masters presented by International Polo Club Palm Beach. 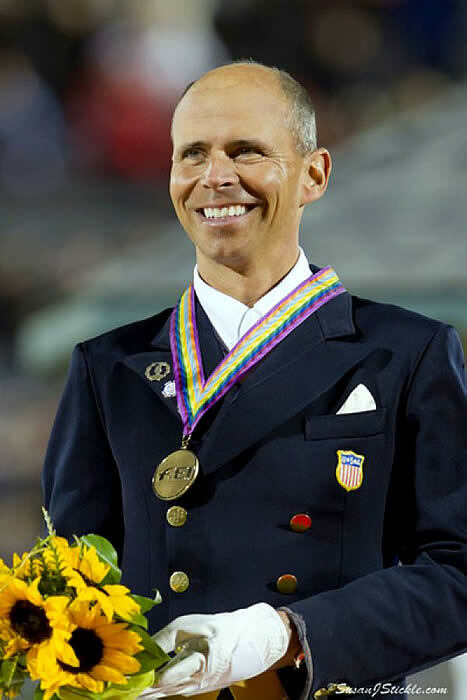 Among the riders to appear at the WDM Palm Beach are a number of Olympic and World Equestrian Games veterans, including the 2010 Alltech FEI World Equestrian Games Freestyle bronze medalist, Steffen Peters of the USA. 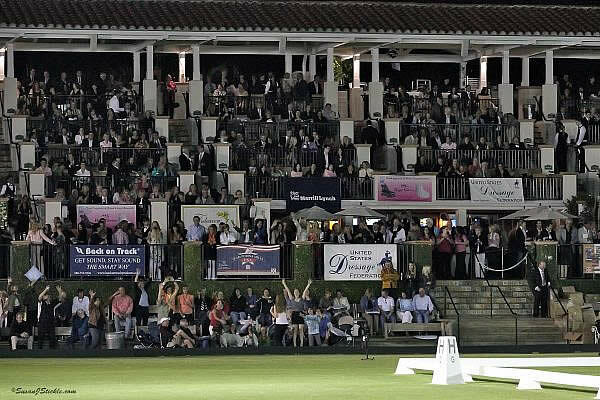 When the WDM Palm Beach was in danger of being cancelled for 2011, the Goodman Family, International Polo Club Palm Beach and its members stepped in to save the American leg of the world’s most prestigious dressage competition. In the kind of style that has become expected of any IPC event, no expense has been spared in making the WDM Palm Beach a unique and memorable experience for both participants and spectators. Shannon Dueck on Ayscha. Photo Credit: Susan J. Stickle, Phelps Media Group. Wellington, FL – February 25, 2011 – With less than two weeks until the World Dressage Masters Palm Beach presented by International Polo Club Palm Beach gets under way on March 9-11 2011, a number of the world’s top riders and their horses are preparing to travel to South Florida. The World Dressage Masters presented by Axel Johnson Group will award more than 400,000 Euros over four competitions in 2011, making it the world’s richest dressage series. The first of those competitions is the WDM Palm Beach, where 18 competitors, including several Olympic and World Championship medalists, will vie for 100,000 Euros in prize money. 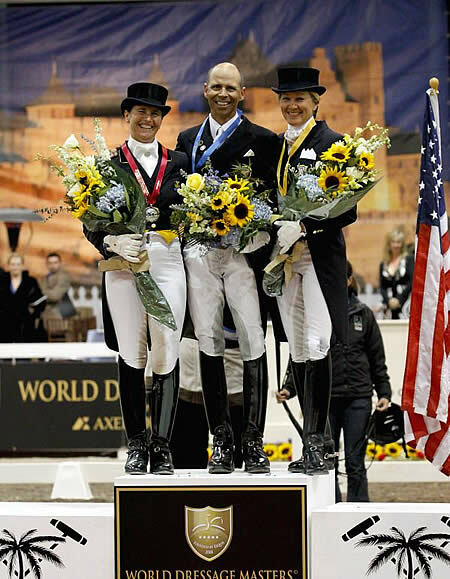 Wellington, FL – February 21, 2011 – The World Dressage Masters Palm Beach, which forms part of the world’s most prestigious dressage series, will take place on March 9-11, 2011 at the Jim Brandon Equestrian Center in West Palm Beach, FL. The preservation of WDM Palm Beach is due to the generous and enthusiastic support of its presenting sponsor, International Polo Club Palm Beach. A dressage competition sponsored by a polo club isn’t as odd as it sounds. Events featuring dressage, such as the breast cancer fundraiser Challenge of the Americas, have been held at the International Polo Club for the past number of years. Approximately 20 percent of IPC members are involved with dressage in South Florida, including International Dressage Rider Arlene ‘Tuny’ Page. Wellington, FL (February 21, 2011) – International Dressage Rider Cesar Parra and his students at Piaffe-Performance made a big splash at the Wellington Classic Dressage Spring Challenge CDI, when Parra and all eight of his students rode into the winner’s circle. Despite rain that kept the sky cloudy and the rings muddy, the riders at Piaffe-Performance shone as they captured the blue in 11 classes at the show.